You may recognize the name Thomas Keller as the player referred to as “Thunder” throughout various ESPN broadcasts from 2004. Since then, Keller’s done a lot to help you maybe not recognize him. In an attempt to live much healthier, Keller lost over 200 pounds after having gastric bypass surgery. Keller is also the brother of Shawn “Lightning” Keller. The two happily state that their nicknames are meant to describe their poker games. In 2002, Keller graduated from Stanford University with an economics degree and during college, picked up poker. Much before poker came into view, Thomas was a very successful Magic: The Gathering player. In fact, he credits much of his poker skill as being transferred over from the game. Thomas began having big tournament success in 2003. He placed third in a smaller event at the California State Poker Championships for over $36,000. A few months later at the end of the year, Keller won the $2,500 No-Limit Hold’em event at the Five-Diamond World Poker Classic at the Bellagio in Las Vegas. He scored over $280,000 for his win. The following year, Keller would really make a name for himself on the national and worldwide stage. He entered the WSOP in the summer of 2004 and walked away with two cashes and his first bracelet. His bracelet win came after besting Martin de Knijff in the $5,000 No-Limit Hold’em event. Keller scooped up $382,020 in cash and cemented his name in the WSOP history books. 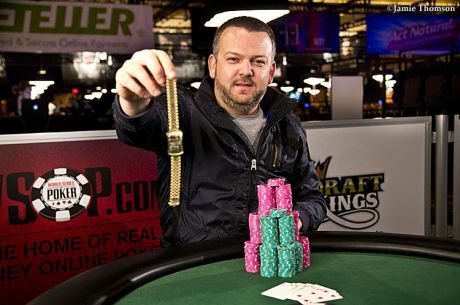 Since his big gold-bracelet win, Keller has become an active writer for various poker publications and continued to travel the tournament circuit. In 2008, Keller was back out at the WSOP and back on the ESPN cameras in the Main Event. Due to his life-changing weight loss, many people may not have recognized Keller as the same player that won the bracelet in 2004. Indeed, this was the same Thomas Keller and he was able to thunder he was to a sixty-first place finish in the Main Event for over $115,000. Keller is married with two children and has nearly $1 million in career tournament earnings.